The Moncton Times & Transcript has a story on the Frye Festival’s effort to raise money for the Frye sculpture here. Please note that only the top two finishers receive a $25,000 prize. In the last 24 hours, the Frye sculpture proposal has moved from 5th to 4th place. Voting ends on August 31st. This entry was posted in Frye Festival on August 14, 2010 by Michael Happy. 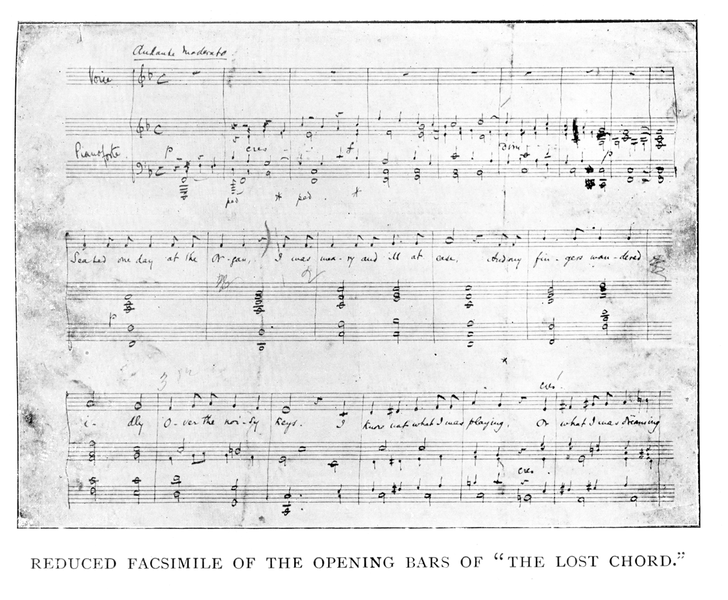 On this date in 1888, one of the first phonograph recordings ever made, Sir Arthur Sullivan‘s “The Lost Chord,” was revealed to the press in London. You can hear it here. It starts out a little rough but gets better: it’s a really remarkable experience to listen to a 122 year old recording. Diminished seventh on C here. This entry was posted in Anniversaries, Audio on August 14, 2010 by Michael Happy.